Whilst the App Store does contain shedloads of brilliant games, it contains yet more rubbish. 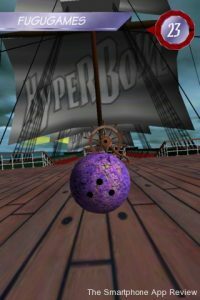 Whilst hardly a travesty, HyperBowl ($2.99) definitely strays towards the latter category. It just isn’t that much fun. 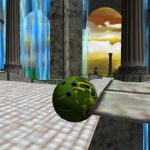 The app is a twist on bowling, giving you full control of the bowling ball. You swipe the screen to push it down variously decorated lanes towards pins by, attempting to knock as many down as possible. 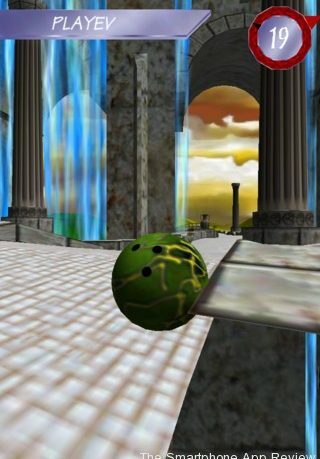 The lanes twist and turn a little, and contain obstacles, complicating your route towards the pins so that it’s harder to knock them down. In Tokyo, for example, you need to weave your way around cars before reaching the pins. 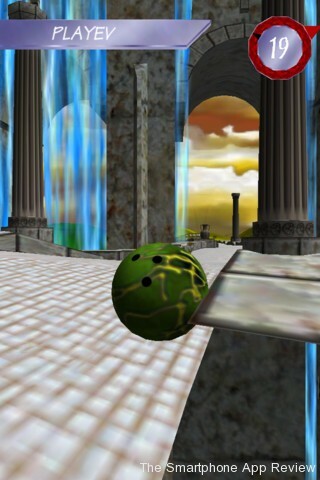 If you fall in the gutter or don’t reach the end of the lane before the timer runs out, you get a zero for that bowl. As in conventional bowling, you have ten turns, split into two bowls each, in which to knock down sets of pins. Your goal is to accumulate the highest score possible. You can play alone or with up to three other people, taking it in turns to bowl. There are six lanes, of different difficulties and set in different environments, to bowl on. 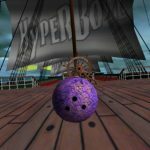 Sadly, HyperBowl is slow and, because of its lack of real challenge, gets old quickly. It begins to feel like a chore pushing the ball across the stages, and chores generally aren’t worth paying for unless they’re rewarding. And that, quite simply, is where the game lost me. It didn’t help that the graphics felt a little clunky and the sounds were irritating. The oddest thing about the game is that the graphics for the main menu are easily the cheapest feeling graphics of anywhere in the game, and because of the bad impression that they set, the rest of the game acquires a similarly cheap taste. It’s a shame, because some of the environments (though hardly Infinity Blade quality) aren’t too ugly. 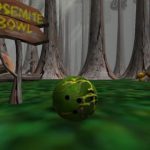 All in all, Hyperbowl has a fair amount to it, but its sluggish pace, repetitive gameplay and unentertaining core concept mean that it’s not worth your time. Previous ArticleInterview: Johnny Two Shoes talks Prevail and more..